An organization’s success is directly proportional to the performance of its employees. All organizations maintain a perfect environment for their employee to work in a safe, comfortable, and healthy atmosphere. It is very vital for business owners to track and monitor the employee’s computers so that they can save them from any potential virus attack, hacking, or from downloading malicious content. Many software developers provide business-friendly monitoring software which you can buy and add in your IT settings. These software monitors the screens of the employees and presents you either live video or reports based on the activities. In the present article, we will enlist some prominent PC monitoring software, their user reviews, and pros and cons. 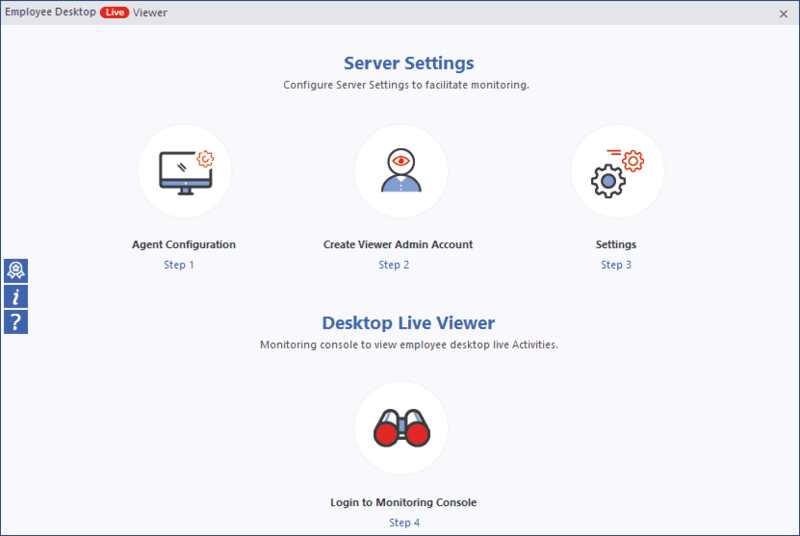 Computer Monitoring software is a light-weighted but a powerful monitoring tool which records all the screen and presents live streaming. It works like a surveillance camera which is fixed over the screen of the employees. It installs an Agent on the employee’s computer either remotely or manually. It adds the computers for monitoring based on its IP address. Online and Offline recording of the computer screens of employees. Recording of employees’ screen remotely via the global IP address. Send instant messages to the computer(s) currently monitored. Useful settings to manage the recording. There is no option for cloud integration. The tool does not provide a recording report. ActiveTrak is a sleek looking monitoring tool which installs the Agent on every remote computer and presents you the live status of each computer. It provides productive and unproductive hours, and screenshots of activities, and has the ability to monitor in real time. 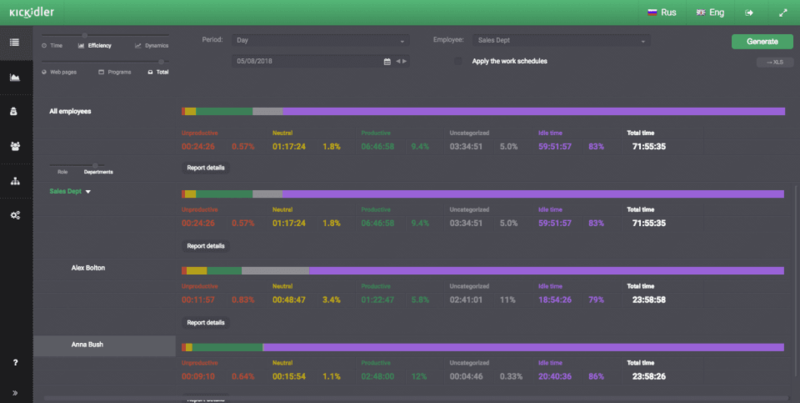 With the help of the productivity screen, you can evaluate the employee performance based on daily, weekly, monthly, or annually basis. It can provide a list of the most productive employee and the top websites list which the users have accessed. Here are some reviews from its users who have given it to the software. “The paid service is worth every penny, and the free trial saved me thousands of dollars.” Jose P.
“Features are impeccably accurate and in line with the advertised elements.” Richard R.
“With some product development, it could become a valuable product for the basis of billing.” Brandon B. It provides the complete user’s activity in a single and clean interface. You can choose to block certain website or pop-ups. Graphs are presented in the charts and pie-charts. Many users do not understand the reports as they are not presented in a simple manner. Price is quite high for a smaller organization. It does not record the keystrokes. There is no option to keyword search for the screenshots. 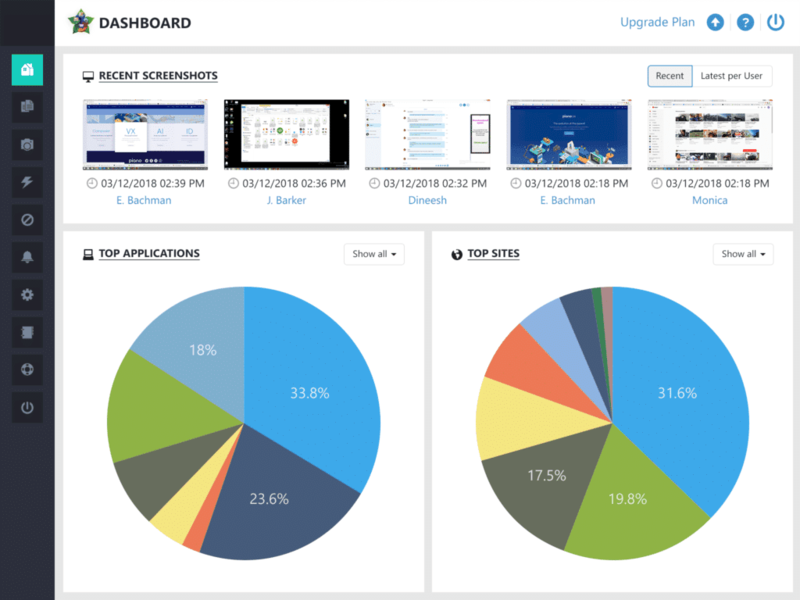 Majority of monitoring tools are solely useful for the computer systems only, but Flexispy is one such tool which supports monitoring of mobile devices like smartphones and tablets also. You can choose to monitor your Android and iPhone-based smartphones and record audio communication. But, it can be considered a major employee monitoring tool and you can use it monitor all your employees. “It is really a spy app. But it is more suitable for the mobile phones and tablets rather than computers.” Peter M.
“A light weighted app to monitor my kids.” Jessica L.
It generates a detailed call report. It can take picture from the camera remotely. It collects the data from all its users and sends to the admin. It can record the live audio and video calls. It cannot block any unwanted number. You cannot wipeout your call details with this app. More suitable for smartphones rather than a computer. 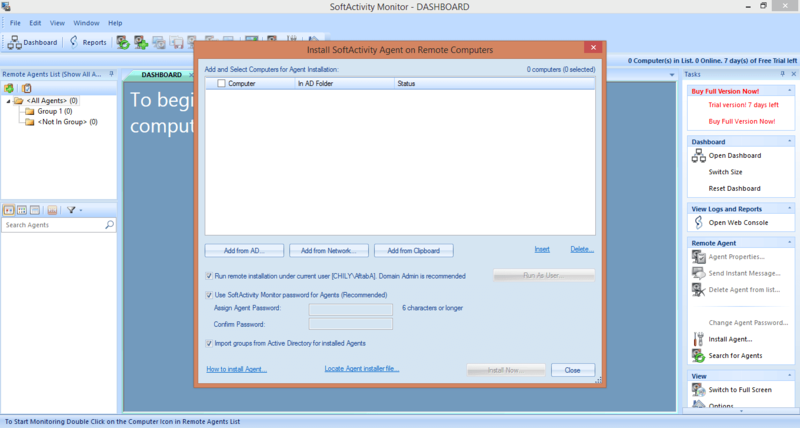 SoftActivity is a monitoring tool which records your computer screen, communication on Skype, Gmail, messenger etc. It takes constant screenshots and generates a video. It saves the video and you can view later. Alternately, you can watch the live recording of any computer. The software interface is quite direct and lets the user install the agent directly on the employee’ computers. It can record the screens, keystrokes, visited websites, and chat conversations. When you enlist the employee computer, it shows in a list where you can choose to send a notification whenever required. “My favorite feature is the screen capture option. I can go back to any date and view what happened.” Paul M.
“It is easy to install, gives ability to see the activity of all users, and have proof of their action and system usage.” Jorge D.
“Best option to monitoring the staff. Now there will be no data leakage from my organization.” Thileepan S.
You can set a password to access the tool. It can track the visited websites and used applications. Send a direct message to the user who is conducting any unwanted activity. Records the computer screens in real time. Some users may face software crashes. Some computers may disconnect automatically. It needs manual intervention on each issue. Database may get large if not handled carefully. Kickidler is another employee monitoring tool which records the live screens of the employee and presents to you. You can get the information about what your employees are doing, what websites they are visiting, or which application they are using. The software shows the exact period that your employee was productive and how many breaks did they take. “It has reduced the cost which we had to pay for the analysis of our employee performance.” Max T.
“The best thing about the tool is that it has no restrictions for the number of computers.” Maxim M.
“All the settings are useful and understandable.” Denis L.
The user-interface of the software is appealing. It makes sure that there is no data leakage or deletion. You can remotely access the computer. It provides the productivity fluctuations report. There is no option to monitor email communication. There is no option to monitor the printing from the computer. You cannot integrate the software with any cloud platform or your IT environment. In a final sum up, all the tools mentioned in the article are quite efficient, beneficial, and easy to use. You can choose any tool as per your need and begin the recording of your computer screens.